Hello to everyone! 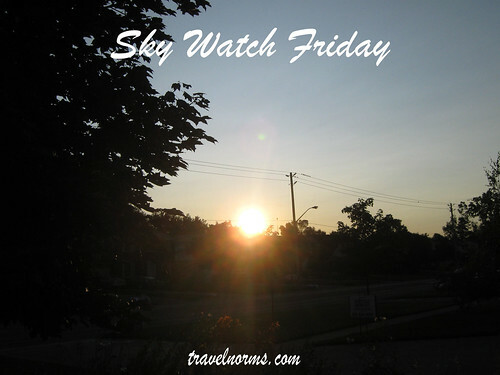 Here's my Sky Watch Friday #5. It was Monday morning when I woke up early at exactly seven and waited for my friend and her daughter to came in our house. While standing infront of our glass window I saw a lovely sunshine. After a few seconds I got my camera and took some pictures. I first captured at around seven in the morning and after one hour I took this second photo again. Wow. I like both of these pictures but I like the way the sun is cutting through the clouds in the second one. Nice photography. 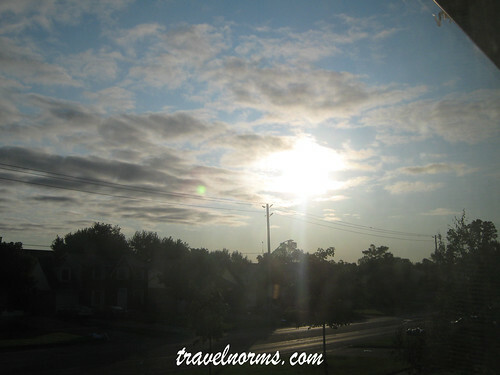 view from the window.... great shots for Skywatch! Mine's up too hope you can drop by.... Happy weekend! Nice shots for this week's entry. The second one is my favourite .. I do really like seeing the rays of the sun shining down. Looks like the start of a beautiful day! Love that sunray descending to earth, great catch. Lovely photos. A great SW post. Nice. I especially like the second one. I love seeing the sun rays!